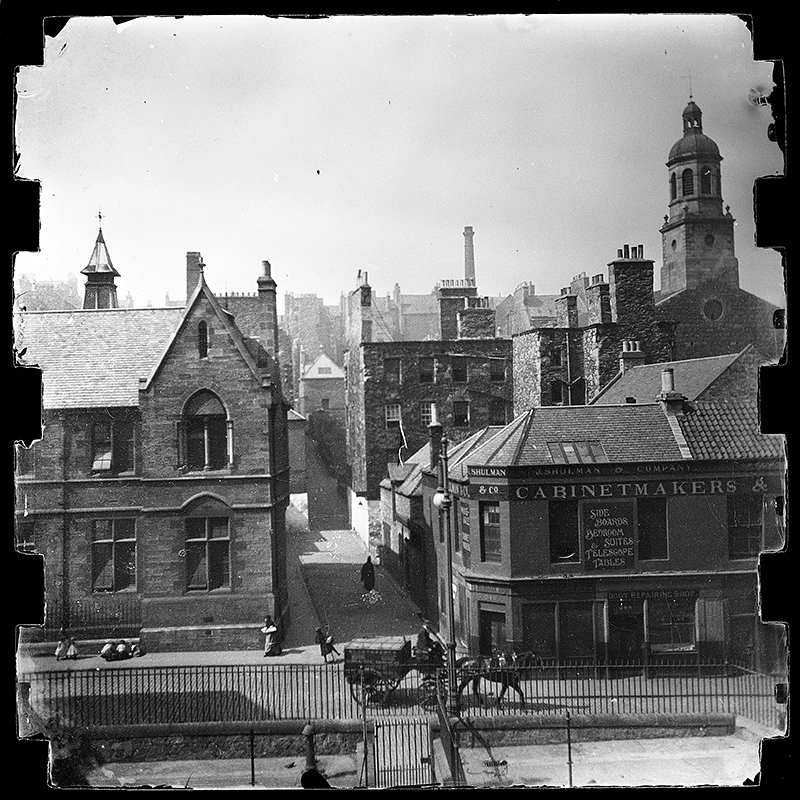 This week, our post comes from Volunteer Jessica Macaulay and is about some of the exciting finds she has discovered while working on enriching the metadata in our Image Collection online http://images.is.ed.ac.uk/ . As this is Jessica’s last week, we would like to thank her for all her wonderful work & wish her all the best for her return to Canada. When I first set out to write a blog post for the DIU I had originally wanted to focus on those works closely connected to Albrecht Dürer (1471-1528), the famous Renaissance artist out of Nuremberg. What I came across instead was collection of incunabula that represented the veritable network of key figures that were highly influential in Dürer’s early development. The most notable of these connections is that of Anton Koberger (1445-1513), who was not only Dürer’s godfather, but helped to arrange Dürer’s apprenticeship in the workshop of Michael Wolgemut (1434-1519). The University of Edinburgh has a surprisingly large and varied collection of Koberger’s books shared between the CRC and New College Library. These collections include three different printings of Koberger’s Latin bible, and a copy of the stunning 1483 German bible (Inc.45.2) http://images.is.ed.ac.uk/luna/servlet/s/z1s8m5 which reused 82 of the 109 woodcuts used by Henrich Quentell in his 1478 Low German bible printed in Cologne. Although these woodcuts predate Dürer’s apprenticeship, elements of their composition can be seen in his later works. Another major work produced by Koberger, and perhaps the one that he is the most famous for, is that of the Nuremberg Chronicle. It was to my great delight to discover that the University ownsnot one of these books, but four, in a range of quality and finish (Inc.48.1/2 and Inc.48*). 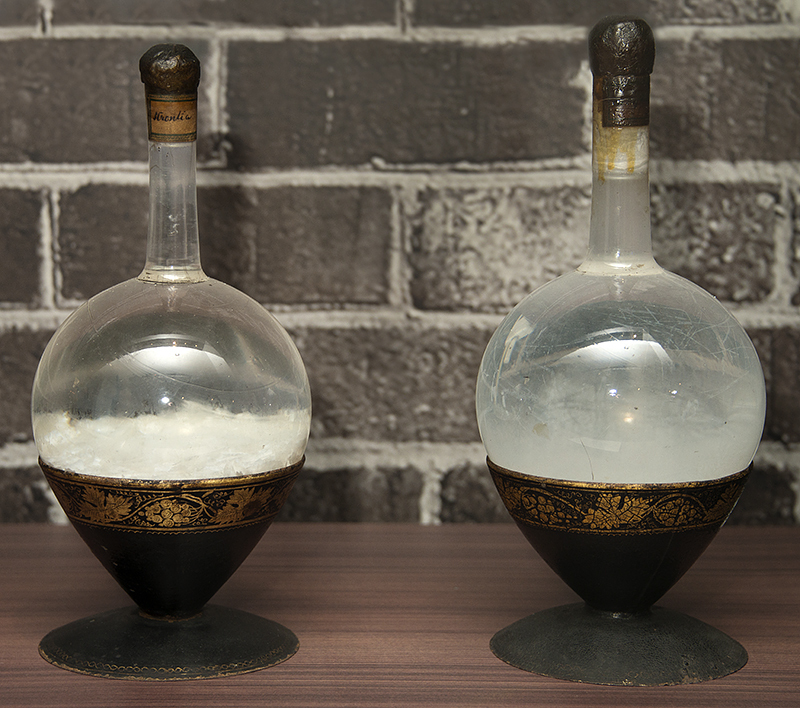 It is a rare opportunity to have so many of the same rare book at hand for ready comparison including one that has been stripped down that shows the book anatomically. 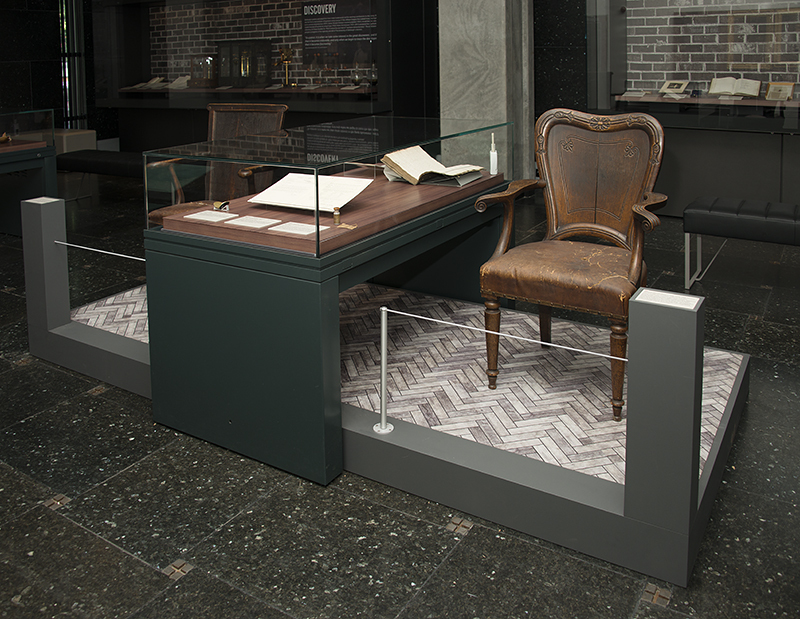 Michael Wolgemut and his stepson Wilhelm Pleydenwurff are known to have been responsible for woodcuts illustrating the Nuremberg Chronicle, and there has been considerable debate over whether or not Dürer is also responsible for some of the compositions. While many scholars suggest that the contract between Koberger and the patrons signed in 1491 was well after Dürer completed his apprenticeship at Wolgemut’s workshop, Loura Brooks reminds us that drawings for the woodblocks began in 1484. Dürer would have been apprenticing in Wolgemut’s workshop during this time and did contribute to the compositions, an account of which can be found in The Making of the Nuremberg Chronicle by Adrian Wilson. 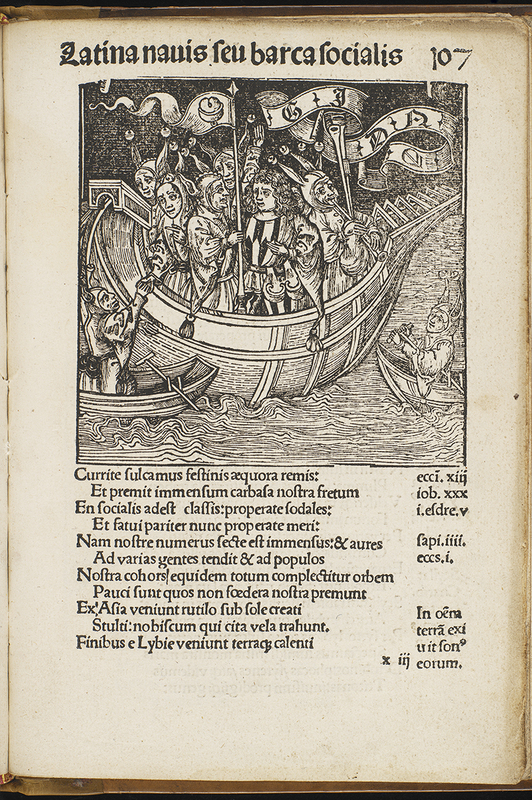 Another item that I came across with interesting ties to Dürer is Sebastian Brant’s Stultifera Navis or the Latin translation of Ship of Fools (Inc.13) http://images.is.ed.ac.uk/luna/servlet/s/a8126x . While the copy owned by the University of Edinburgh is a pirated copy printed by Johann Reinhard of Grüningen in 1497, it demonstrates the vast popularity of printed texts and particularly those with illustrations. Grüninger’s edition was published very shortly after one of Brant’s official editions, and within a few months Brant has printed another version with an additional section condemning pirated texts. Dürer worked closely with Brant to design the woodcuts accompanying the text, and nearly two thirds of the woodcuts in the first edition are attributed to Dürer. Though there is very little of Dürer’s actual work housed in the collections there is much that informs on the network that helped to shape Dürer’s career, evidence of his early influences, and many exemplars from those that he worked with later in his career. 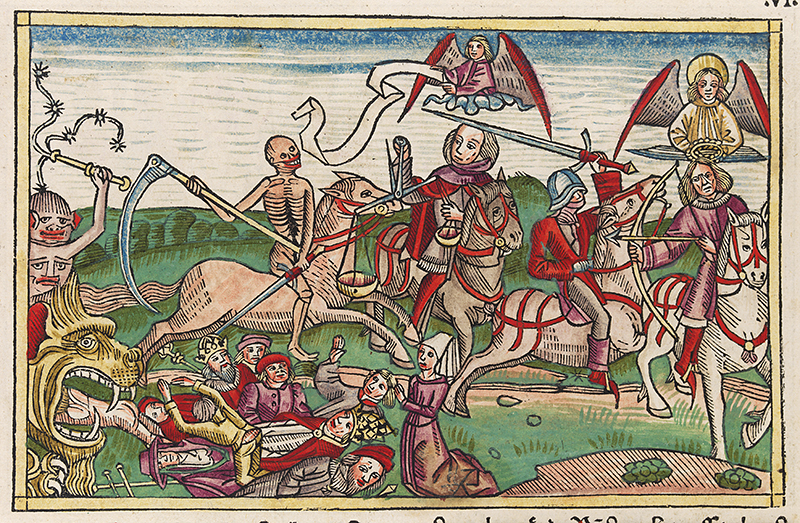 Whether looking at Koberger’s bibles, the Nuremberg Chronicle, or Ship of Fools there are plenty of opportunities for new and exciting research. Many thanks to Loura Brooks for fielding my many questions. 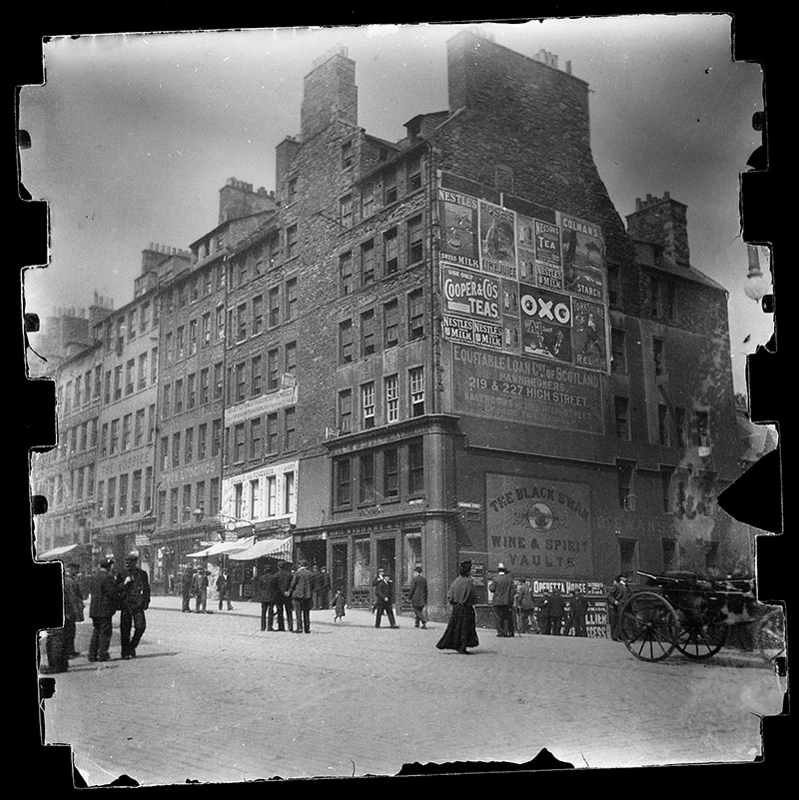 New Baldwin Brown Images of Old Edinburgh. 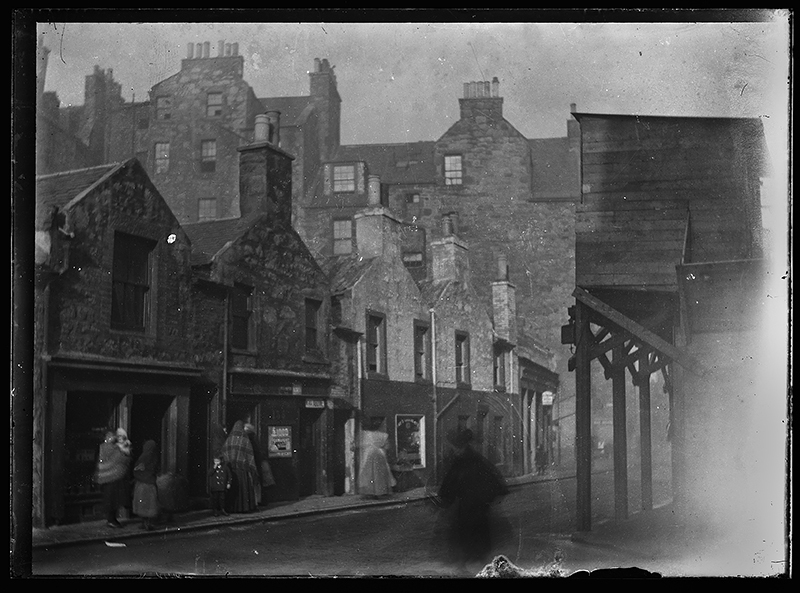 As promised here are five more images of Old Edinburgh to test your memory! 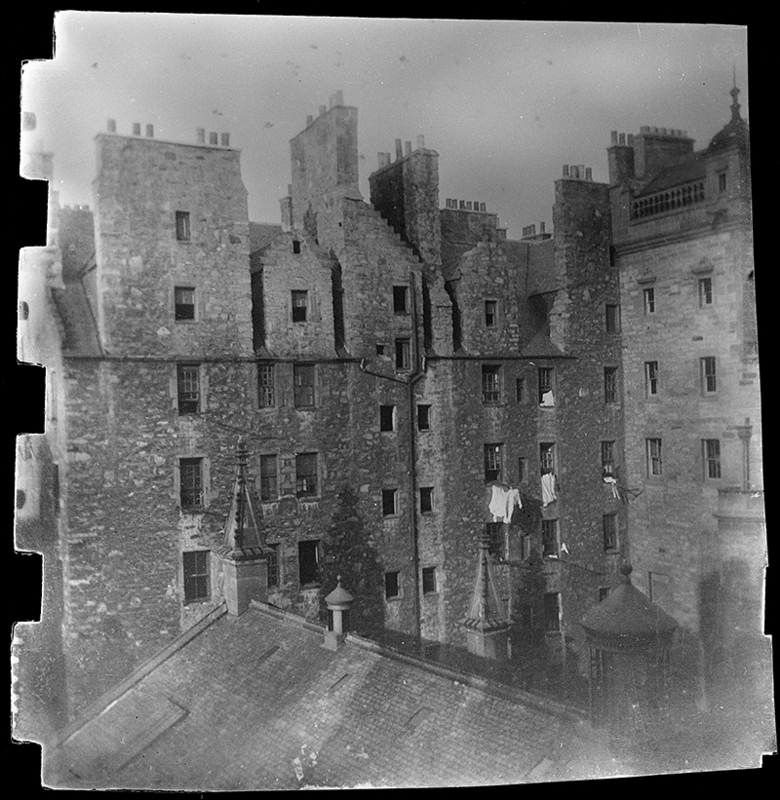 We first posted some images of Old Edinburgh a few weeks ago and got some great results in identifying locations. 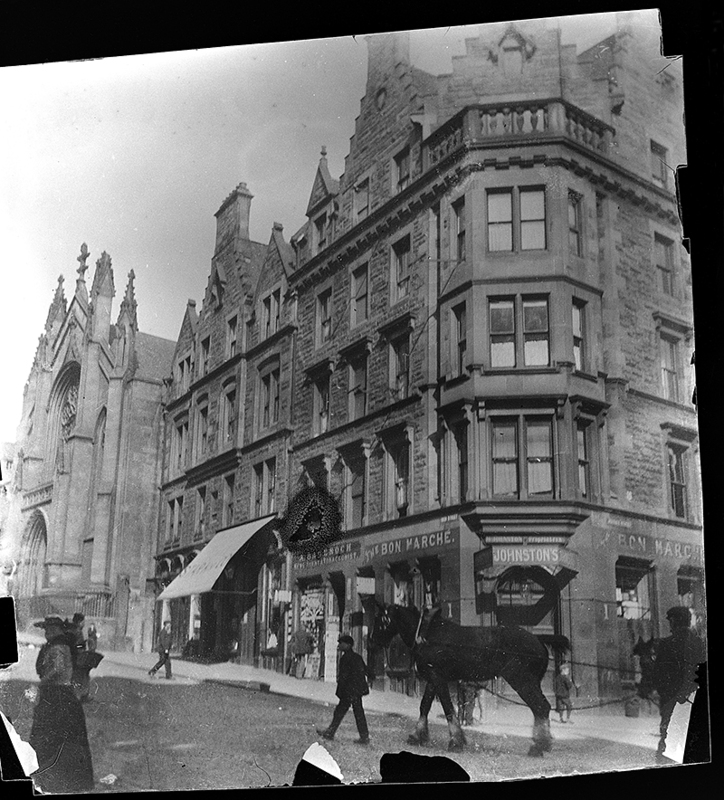 We have posted the album on CRC Facebook page also https://www.facebook.com/crc.edinburgh in the hope to harvest useful metadata. 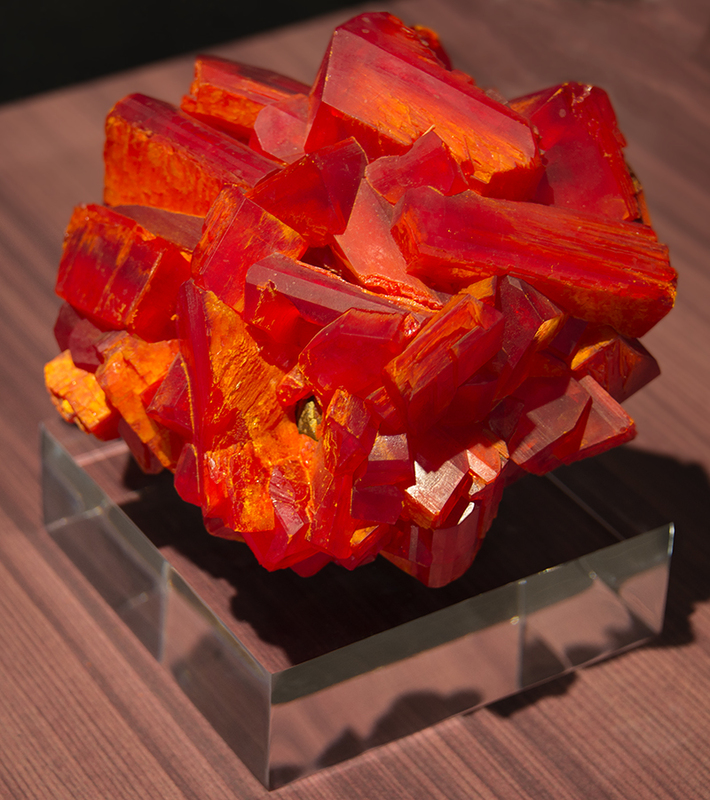 We still have a few more of these wonderful images to roll out over the coming weeks. Last month I was lucky enough to attend a week long Summer School in Oxford- and being the week that the heat wave kicked in, it really did feel like a Summer School! The course managed to be both varied and intensive, with large lectures, group workshops, surgeries where specialists would help you with your own project, evening events & even a guided tour of the Ashmolean. Robert Simpson of the Zooniverse team https://www.zooniverse.org/ gave a fascinating talk about the crowd sourcing portal they have developed. 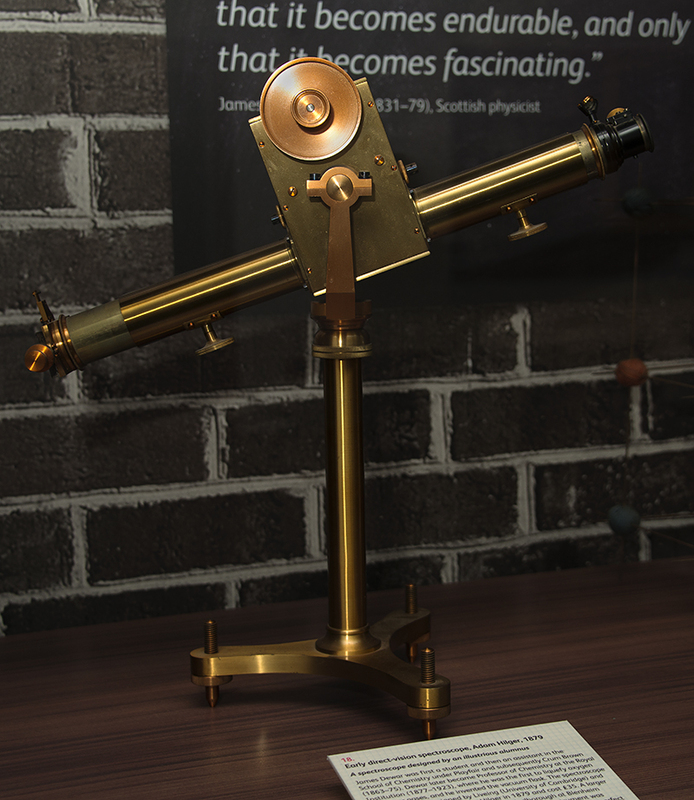 What started out as an experiment to see if they could find enough people interested in identifying planets from raw astrophysics data, developed into 17 separate projects across 5 Research fields & around 860,000 people taking part world-wide. 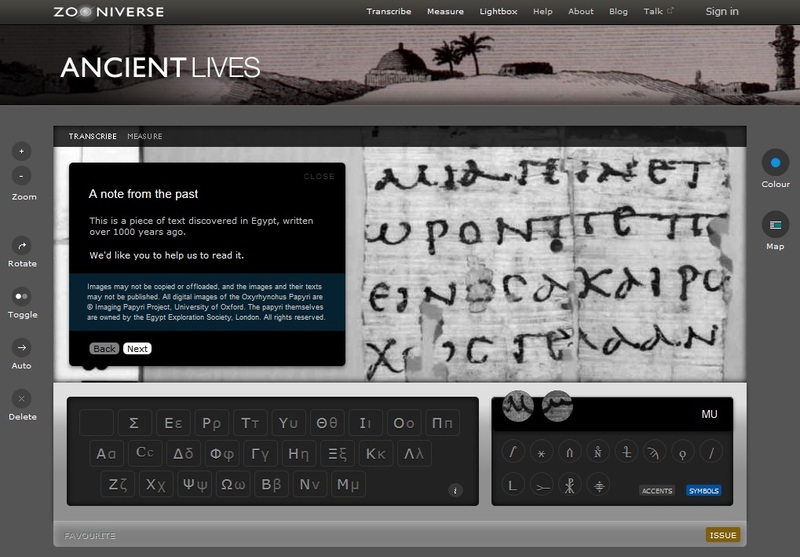 Some of the projects include transcribing 2000yr old Papyri, identifying Whale language & mapping Martian weather- not a bad way to spend your lunch break! Robert thought the key to a good Crowd Sourcing project was a subject where human beings can interpret the data better than a computer & a hook that makes people want to be involved- even if it is as simple as the desire to contribute to the worlds knowledge. Zooniverse are great believers in the Open Source community & are happy to share both their knowledge & code. 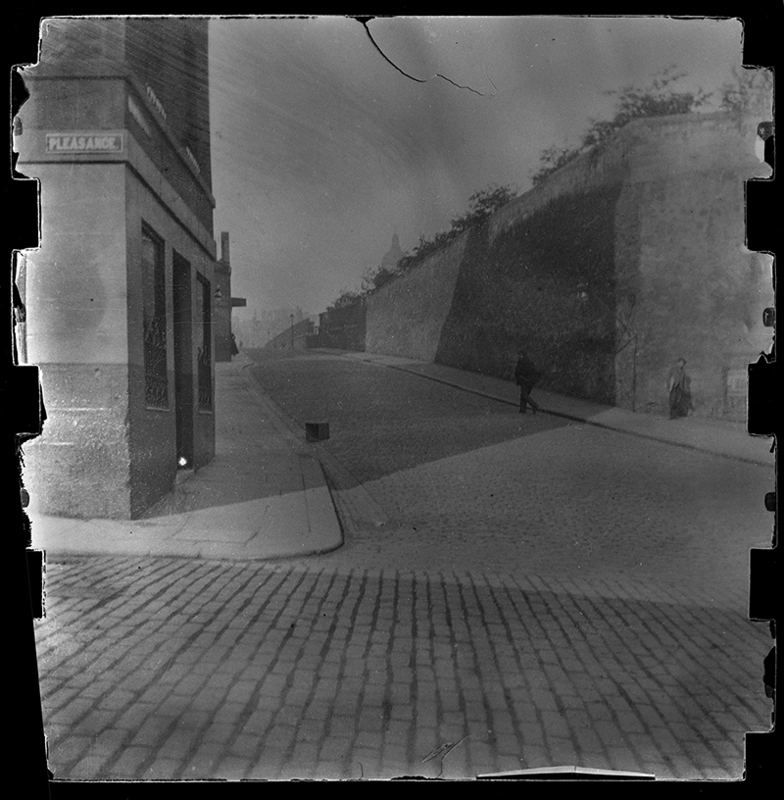 While Zooniverse is centred on developing online virtual data, another Crowd Sourcing project started out with a real crowd and analogue objects- Kate Lindsay really bought the Re-Imagining WWI project to life http://www.oucs.ox.ac.uk/ww1lit/ . 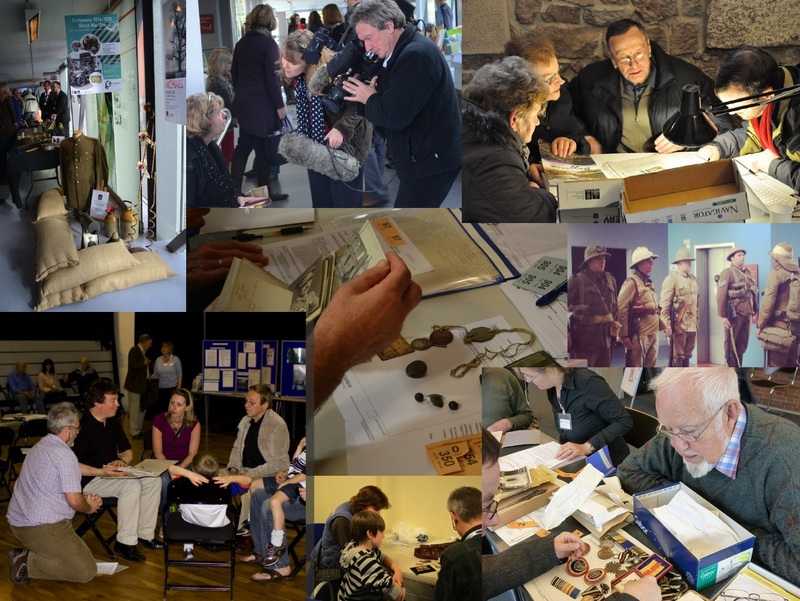 This started out almost like an Antiques Road Show where the public was invited to bring along their family WW1 history: stories, letters, photo’s & memorabilia. 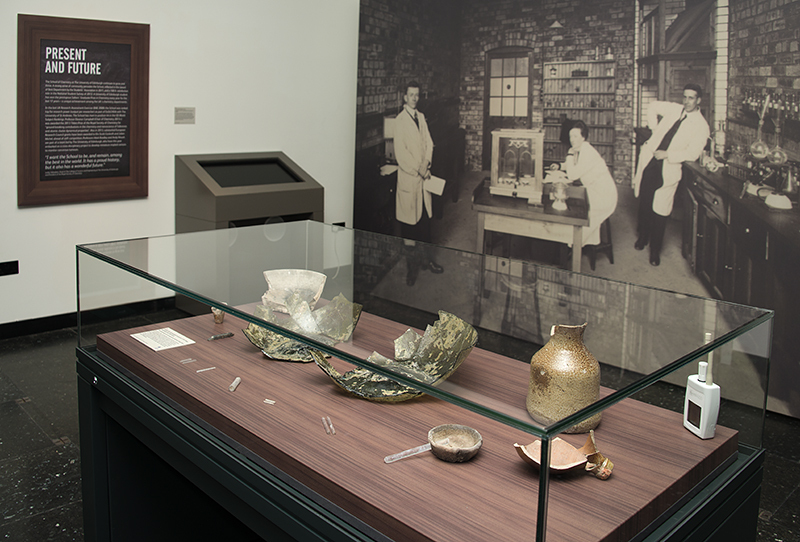 Experts were on hand to look at the items & photographers to document them. In the first 12 weeks it proved so popular that they had 6500 submissions, and led onto an online submission system & further road shows across Europe- the submissions now are well into the tens of thousands. All in all, the Summer School was an enjoyable & inspiring week which should prove invaluable as we endeavour to develop the potential of our digital archive. 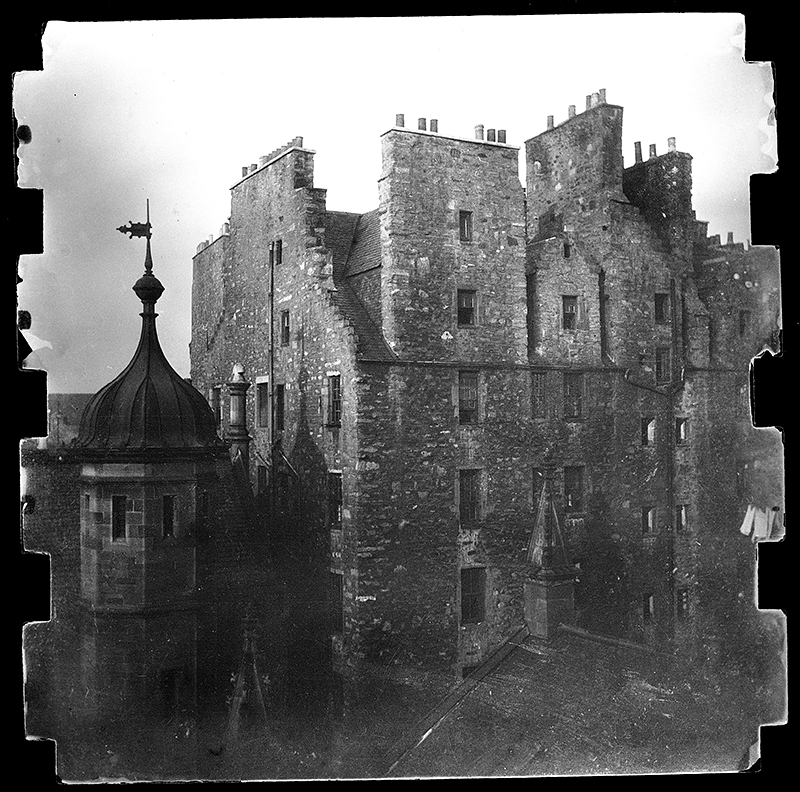 Recently in the DIU we have been digitizing 21 negatives of images described on their box Shelf-mark – E2005.1 Box 5, as ” Old Edinburgh.” We are aware that some members of Library staff enjoy the challenge of locating parts of the town from old photographs or unusual view points. We think some of these will present a challenge to even the keenest location spotting geeks and we would like to add any juicy information gathered to our related metadata fields. 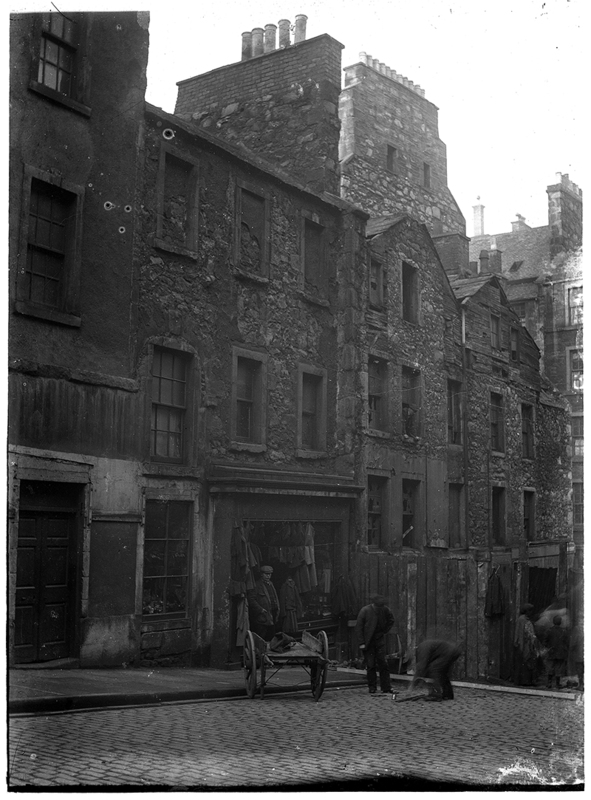 Over the next few weeks we shall post our “Old Edinburgh” images. No prizes for guessing except the smug air of recognition that a superior mind is at work. So as Bamber used to say , “Starter for ten ” anyone?